The world’s most powerful investment bank is a great vampire squid wrapped around the face of humanity, relentlessly jamming its blood funnel into anything that smells like money. It’s a great read and there are passages I agree with. But I also think the opening I’ve quoted strays awfully close to classic anti-Semitism. I don’t believe in a global Goldman Sachs conspiracy. Rather, it has been very successful at hiring and developing an undue share of smart people, who have generally been better at exploiting the system than anyone else. That has malign consequences, but the faults are systemic, not particularly to do with one institution. This entry was posted in Uncategorized on June 25, 2009 by lance. I spent the last two days closeted in a conference room in Washington, learning about and occasionally talking about systems thinking as it could apply to energy and climate policy. There is a lot to digest from the meeting, but one comment in particular struck home for me and many of the other participants. One of the key issues everyone involved in climate policy grapples with is how to galvanize both the public and policymakers about the urgent need for action. What’s going to change minds? MIT’s John Sterman is one of the world’s leading thinkers on systems dynamics. But on the issue of transforming minds he didn’t resort to his systems diagrams or feedback loops. “It needs to be the civil rights movement,” he said flatly. Climate change, he argued, isn’t amenable to a Manhattan Project-like scientific megaproject, because it involves the behavior of every person in the country (and the world). We need to shift everyone’s mentality in a dramatic way. I’m always struck when I read history books about the late ’50s or early ’60s — years when I was alive, if not terribly aware of the world around me. The US described in, for example, Taylor Branch’s stunning multi-volume biography of Martin Luther King Jr is unrecognizable from today’s America. It isn’t just the election of Barack Obama (although that is the most staggering evidence). It’s the wholesale shift against everyday, assumed racism across much of society. Part of responding to climate change is going to need an equivalent mass shift. It’s almost impossible to imagine, and we don’t have the luxury of many decades to change. But dramatic, unthinkable change has occurred before. This entry was posted in Uncategorized on June 19, 2009 by lance. When a few of the people I follow on Twitter started tweeting about #infinitesummer the other week, I was intrigued. The idea is to have a sort of web-based reading group, all reading in a roughly synchronized way David Foster Wallace’s doorstop of a novel, Infinite Jest. It’s “only” just over 1,000 pages, so a relatively leisurely sub-100 pages a week will take you through the book before Labor Day. Why not, I thought. I’m still game, but I violated the rules of Infinite Summer by reading the first 100 or so pages before the start date. So far, meh. But first impressions can mislead. I have, however, put my copy of Infinite Jest on hiatus. I scoured my bookshelves for some substitute reading. We have a lot of books in our house (although the number has been winnowed down in our move from London a few years ago), and I’ve read the great majority of them. There are some volumes that I bought over the years, full of good intent, and they never made it to the top of the pile. I narrowed my choice to three. What about Richard Evans’ Death in Hamburg? Evans is now well-known for his trilogy on the history of the Third Reich. But he came to public prominence as a historian when he won the Wolfson Prize for Death in Hamburg, a look at the cholera epidemic of 1892 (I find certain prizes — the Wolfson for history, the Royal Society for science — a great guide to finding wonderful books). But when I pulled it down from the shelf I discovered a problem. My Penguin edition runs about 600 pages, but the type is cripplingly small. 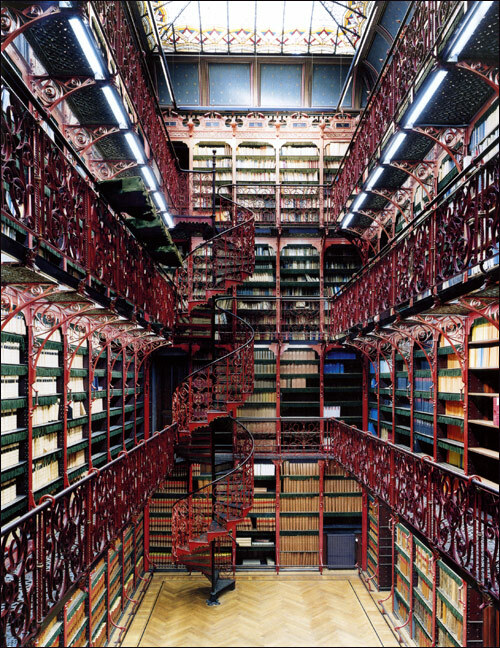 I’ll return to Death in Hamburg when I find a copy in a library or secondhand that has type that I can read comfortably. So I turned to Dark Sun, Richard Rhodes’ follow-up to The Making of the Atomic Bomb, one of my all-time favorites. I’ll certainly read Dark Sun in the next few months, but it was just pipped by my final candidate. I remember when David Landes’ The Wealth and Poverty of Nations came out in the late ’90s. Howard Davies wrote a truly ecstatic review in the Financial Times (FT.com only indexes to 2004 so I can’t retrieve that review). I bought it straight away. But somehow it languished on my shelves. Well, dear reader, I’m thrilled I pulled it out. As the reviews way back when promised, it’s wonderfully written, filled with telling details and grapples with the crucial question of why some countries are rich and others are poor. Europe enjoyed a monopoly of corrective lenses for three to four hundred years. In effect they doubled the skilled craft workforce, and more than doubled it if one takes into account the value of experience. This entry was posted in Uncategorized on June 15, 2009 by lance. Every day brings more wonderful things about having Barack Obama as president. The photo above may seem relatively unimportant, but it’s great to have a president who both looks at modern art and isn’t afraid of a photo opportunity that shows him looking at modern art. 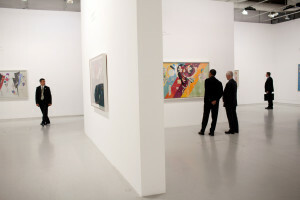 I don’t think Kandinsky will swing many votes, but I think the Obamas’ visit to the Centre Pompidou is tacit recognition that going to museums is a hugely popular pasttime in the US. It’s just one that doesn’t get recognized politically ever. This entry was posted in Uncategorized on June 9, 2009 by lance. I decide to go online the second tickets became available. Of course I don’t manage get to my computer until 12 minutes later and by then, all seats to all three nights are gone. 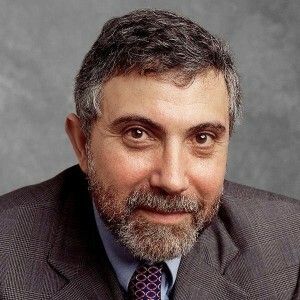 Krugman proves to be a tougher ticket than Bruce Springsteen. I guess I’m not the only economics nerd in London. No worries, I think, I’ll get in on a press pass. I inveigle the editor of American Conservative (which for some reason, despite its right-wing name, seems happy to publish my musings on the perfidy of financiers) to request a press ticket. No go. No press tickets left. Even Prospect, who I tell I’ll blog for free if they get me in has no luck with the LSE press office. I started a new project today with my friend Dave Winer. It’s called InBerkeley.com, and it’s a response to the need I expressed a few weeks ago for a hyperlocal site for Berkeley. It’s very much a work in progress, but please have a look and let me know what you think. I’d love ideas, pointers to other hyperlocal sites that might provide inspiration and, if you’re in Berkeley or connected to it, other people who want to write about our amazing city. This entry was posted in Uncategorized on June 5, 2009 by lance. As I came here today it was actually a way of coming and visit my father’s grave — but he had no grave. His grave is somewhere in the sky. This has become in those years the largest cemetery of the Jewish people. The day he died was one of the darkest in my life. He became sick, weak, and I was there. I was there when he suffered. I was there when he asked for help, for water. I was there to receive his last words. But I was not there when he called for me, although we were in the same block; he on the upper bed and I on the lower bed. He called my name, and I was too afraid to move. All of us were. And then he died. I was there, but I was not there. And I thought one day I will come back and speak to him, and tell him of the world that has become mine. I speak to him of times in which memory has become a sacred duty of all people of good will — in America, where I live, or in Europe or in Germany, where you, Chancellor Merkel, are a leader with great courage and moral aspirations. What can I tell him that the world has learned? I am not so sure. Mr. President, we have such high hopes for you because you, with your moral vision of history, will be able and compelled to change this world into a better place, where people will stop waging war — every war is absurd and meaningless; where people will stop hating one another; where people will hate the otherness of the other rather than respect it. But the world hasn’t learned. When I was liberated in 1945, April 11, by the American army, somehow many of us were convinced that at least one lesson will have been learned — that never again will there be war; that hatred is not an option, that racism is stupid; and the will to conquer other people’s minds or territories or aspirations, that will is meaningless. I was so hopeful. Paradoxically, I was so hopeful then. Many of us were, although we had the right to give up on humanity, to give up on culture, to give up on education, to give up on the possibility of living one’s life with dignity in a world that has no place for dignity. We rejected that possibility and we said, no, we must continue believing in a future, because the world has learned. But again, the world hasn’t. Had the world learned, there would have been no Cambodia and no Rwanda and no Darfur and no Bosnia. Will the world ever learn? I think that is why Buchenwald is so important — as important, of course, but differently as Auschwitz. It’s important because here the large — the big camp was a kind of international community. People came there from all horizons — political, economic, culture. The first globalization essay, experiment, were made in Buchenwald. And all that was meant to diminish the humanity of human beings. You spoke of humanity, Mr. President. Though unto us, in those times, it was human to be inhuman. And now the world has learned, I hope. And of course this hope includes so many of what now would be your vision for the future, Mr. President. A sense of security for Israel, a sense of security for its neighbors, to bring peace in that place. The time must come. It’s enough — enough to go to cemeteries, enough to weep for oceans. It’s enough. There must come a moment — a moment of bringing people together. And therefore we say anyone who comes here should go back with that resolution. Memory must bring people together rather than set them apart. Memories here not to sow anger in our hearts, but on the contrary, a sense of solidarity that all those who need us. What else can we do except invoke that memory so that people everywhere who say the 21st century is a century of new beginnings, filled with promise and infinite hope, and at times profound gratitude to all those who believe in our task, which is to improve the human condition. A great man, Camus, wrote at the end of his marvelous novel, The Plague: “After all,” he said, “after the tragedy, never the rest…there is more in the human being to celebrate than to denigrate.” Even that can be found as truth — painful as it is — in Buchenwald. Thank you, Mr. President, for allowing me to come back to my father’s grave, which is still in my heart. If I extended beyond the top 10, Oakland — Fremont — Hayward places 16th, so if the Bay Area is taken as a whole, it really dominates the list, with the first, tenth and 16th positions. That’s nice, but I’m skeptical that the methodology really provides much of a clue as to where high-tech innovation will thrive in coming years. Dallas? I don’t think so. There’s no room for anything like cleantech in the industry classifications used for the study. More importantly, the methodology skews the index away from some of the key trends in technology. It uses employment or wages and the concentration of high tech in a region as the basis for the analysis. Reckoning that tech heft matters ignores today’s reality. Some of the more influential tech companies don’t actually employ many people. Craigslist has less than 50 employees, but it’s probably one of the main reasons why American newspapers are in desperate shape. Twitter also is still under 50 employees, but it’s defining a new mode of real-time communication and mind-sharing that will surely spawn imitators and other new services. Both are based in tenth-place San Francisco. San Francisco also has a high concentration of biotech, grouped around Genentech. A lot of biotech is heavy on intellectual property, not employees or aggregate wages. During the dotcom boom every economic development agency in the world was determined to create their own Silicon Valley (it hasn’t been updated in years, but Keith Dawson’s Siliconia still should provoke a smile). There are many paths to innovation hot spots, and lessons can certainly be learned from Silicon Valley. But the original isn’t really replicable. The evidence, however, is in and there’s still only one Silicon Valley. This entry was posted in Uncategorized on June 4, 2009 by lance. From The Official White House Photostream. This entry was posted in Uncategorized on June 2, 2009 by lance. Like anyone who despairs at the prevalence of pseudo-science in our culture, I’m delighted at the cover story in the latest Newsweek: Crazy Talk — Oprah, Wacky Cures and You. If this is the kind of story the new Newsweek is going to run, I’ll start paying attention. Arguably there is no single person in the world with more influence pushing woo than Oprah. Indeed, she puts Prince Charles to shame, and Kevin Trudeau’s is a mere ant compared to the juggernaught that is Oprah’s media empire. No one even comes close. No one, and I mean no one, brings pseudoscience, quackery, and antivaccine madness to more people than Oprah Winfrey does. Naturally, she doesn’t see it that way and likely no one could ever convince her of the malign effect she has on the national zeitgeist when it comes to science and medicine, but that’s exactly what she does. Orac, the pseudonymous blogger who writes Respectful Insolence, is a surgeon. Once again, if you know where to look sources going direct can give you the news long before it hits more conventional publications. This entry was posted in Uncategorized on June 1, 2009 by lance.